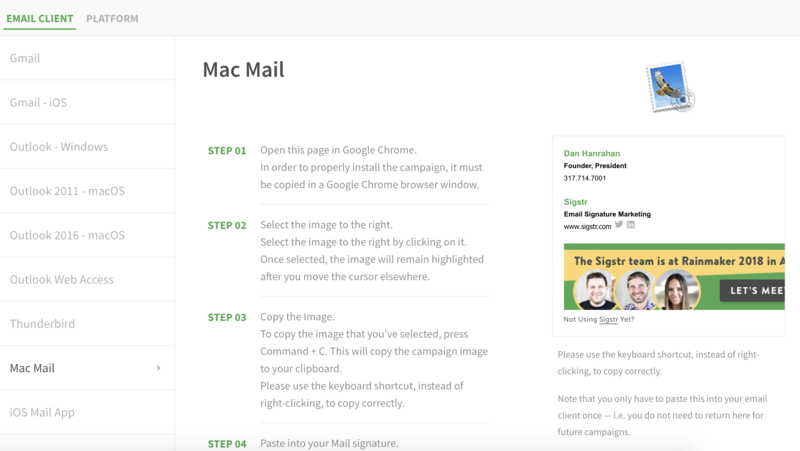 Navigate to Mac Mail from the install option list. 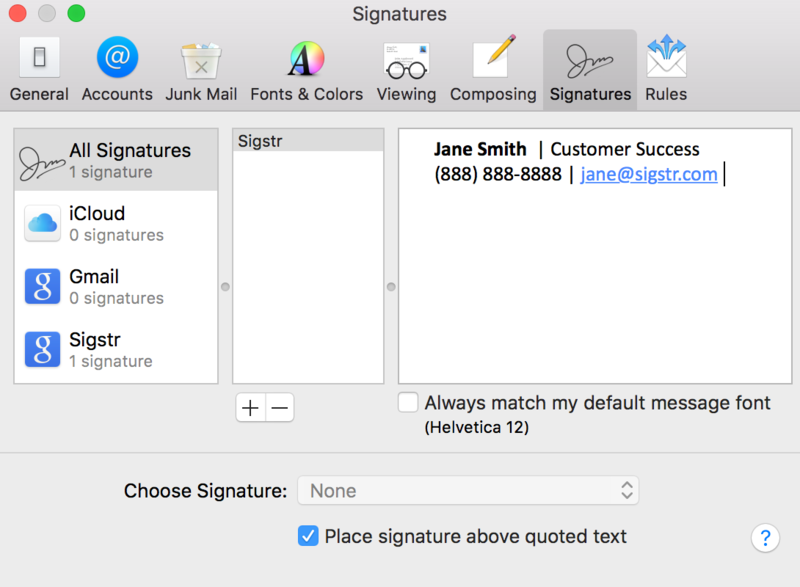 Follow the installation instructions by selecting the signature image and copying it using the function Command C.
Once you’ve copied the signature, open the Mac Mail application. Open Preferences from the menu bar. Choose Signatures from the options in settings. 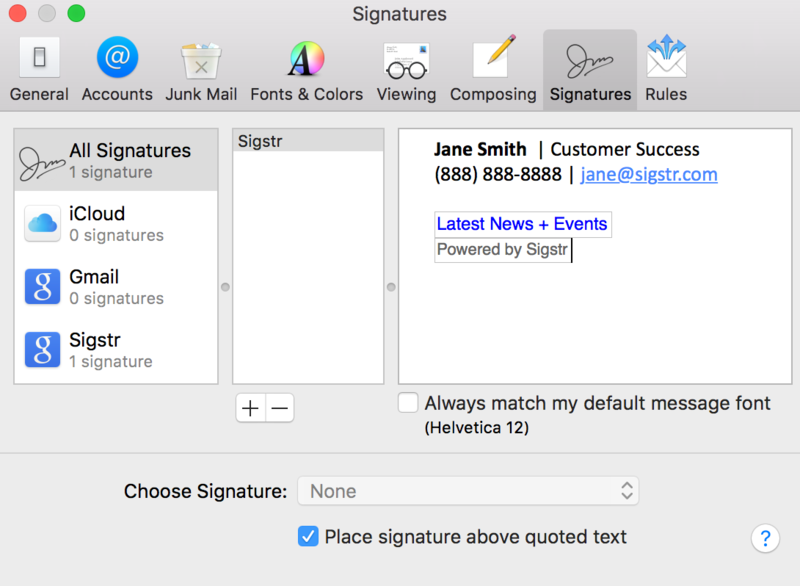 Create a new signature by clicking on the + button. Name the new signature Sigstr. 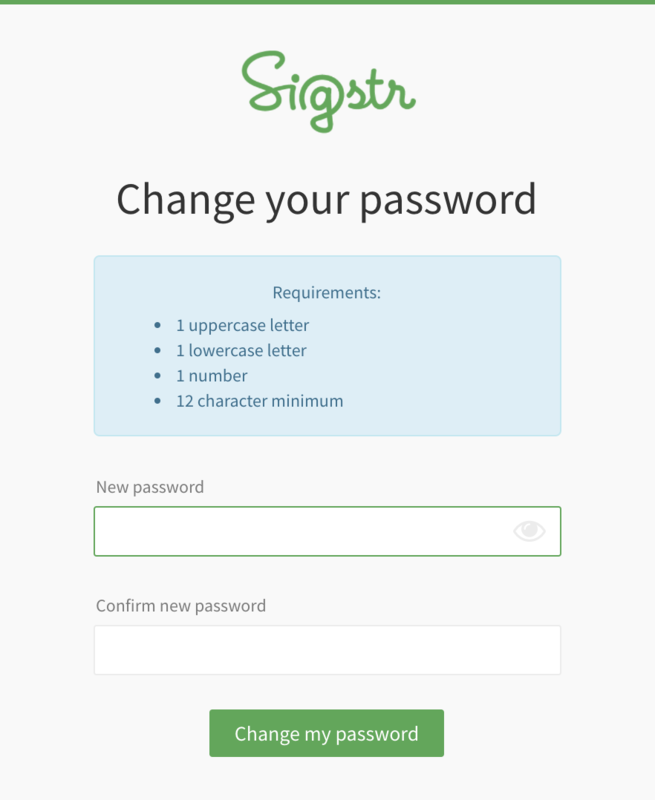 Paste the Sigstr content that you copied into the signature field on the right by pressing Command + V. Please use the keyboard shortcut, instead of right-clicking, to paste the coding correctly. Make sure that the box next to Always match my default message font is unchecked. 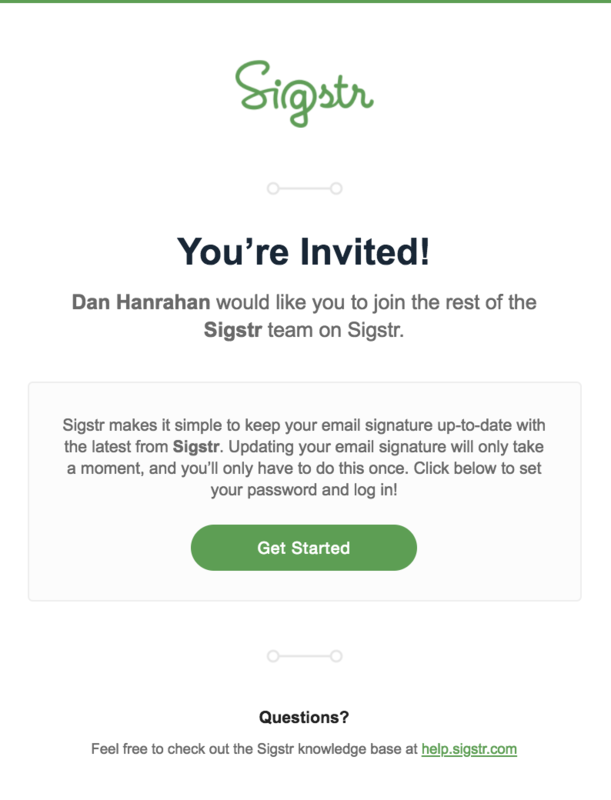 Make sure to choose the Sigstr signature as the default for your business account.